A remarkably emphatic nose is laden with well-ripened wild red berryfruit, spice, and peppery balsam. In the mouth, its superb ripeness immediately impresses, as do the silky, high-gloss tannins, dense-packed yet supple. It displays significant ageing potential, but is perfectly enjoyable today. A rainy winter was followed by a warmer than normal spring, bringing forward the start of the vine growth cycle by as much as 10 days. Budbreak was particularly rapid and even, which, as experience shows, is a very hopeful sign of a great vintage. Growth was then slowed by cooler conditions in June and July. The rain came at the right time: after flowering and during ‘veraison’, which favoured optimal cluster development. A surge of heat in late August further encouraged the ripening process, bringing the start of harvest to the last week in August. September’s weather was sunny and rainless with perfect conditions yielding concentrated grapes with an ideal balance between ripe tannins, crisp acidities, and rich, ripe aromas. Exceptionally, harvesting concluded in the final days of September. The grapes were handpicked into 15 kg baskets. The bunches were graded and selected by hand on a double sorting table, before and after destemming, and finally soft-pressed. Each varietal and single vineyard block was vinified separately. Alcoholic fermentation took place in stainless steel tanks at temperatures between 26° C and 30° C for one week, followed by 10 days of maceration on the skins. The malolactic fermentation, which began in the steel tanks, was completed after the wine was racked into barriques (25% new and 75% a year old). 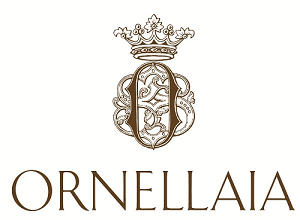 The wine remained in barriques in Ornellaia's temperature-controlled cellars for about 15 months.After the first 12 months the wine was assembled, and then returned to the barriques for an additional 3 months of aging. After bottling, the wine aged a further 6 months prior to release.